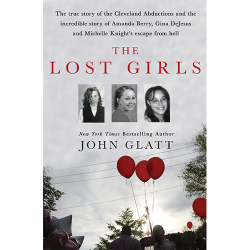 New York Times bestselling crime writer John Glatt tells the true story behind the kidnappings and long-overdue rescue of three women found in a Cleveland basement. The Lost Girls tells the truly amazing story of Amanda Berry, Gina DeJesus and Michelle Knight, who were kidnapped, imprisoned, and repeatedly raped and beaten in a Cleveland house for over a decade by Ariel Castro, and their amazing escape in May 2013, which made headlines all over the world. The book has an exclusive interview and photographs of Ariel Castro’s secret fiancé, who spent many romantic nights in his house of horror, without realizing he had bound and chained captives just a few feet away. There are also revealing interviews with several Castro family members, musician friends and several neighbors who witnessed the dramatic rescue.